NO MORE EXTRA HAND TO READ TAG!! AND WATER TROUGH IS A CLEAR SIGN OF ANIMAL WELLBEING. AniTrace offers a service to help you manage your business and provides the real time data for better business decision. Your data is solely yours. for speed of commerce, with 100 percent inventory accuracy. It is a seamless system that flows from purchase to final sales, and with the device to website. and limited ways in the market to obtain such timely detection at the individual level. 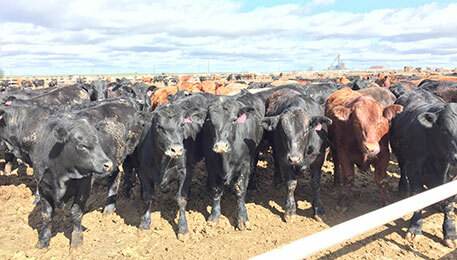 Often times, the feedlot operation must suffer rather expensive and time consuming corrective measures. feeding behavior by utilizing the company’s proprietary technology, including UHF RFID tags. AniMonitor is also expandable beyond a single pen in length with scale of economy. 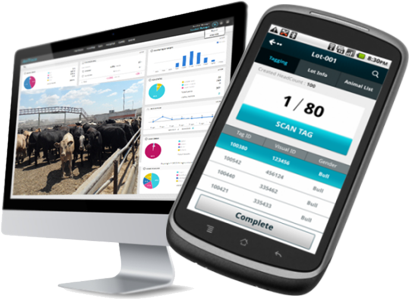 Receive real-time information of your cattle from anywhere, anytime. Have the confidence to know the location of your animals and track your animal’s movements easily with AniTrace. 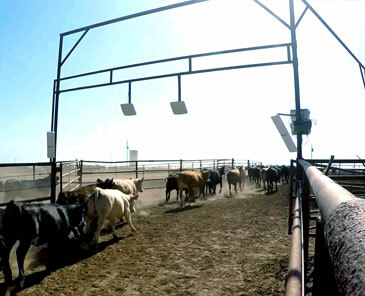 Lot Verification is a process in the AniTrace system that allows the user to track cattle from the moment they are purchased until they are processed. 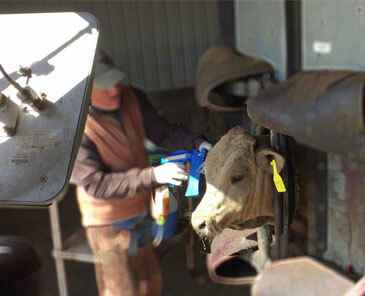 Have the convenience of pulling up a system report to see the status of your incoming cattle from outside your office. Now you no longer have to be in the office to manage your animals. TRACK PURCHASED ANIMALS WITH LOT VERIFICATION! FOLLOW-UP ON THE STATUS OF YOUR ANIMALS IN THE LOT VERIFICATION PROCESS. Start the Lot Verification process by creating an invoice. 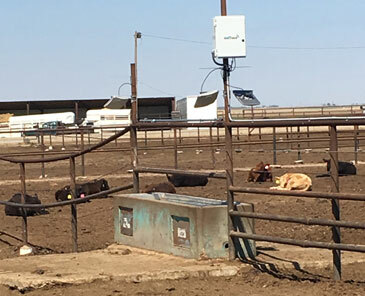 Once an invoice is created, have the ability to track animals that have been ordered and look up in real-time the status of your animals throughout the lot verification process. Make more effective management decisions by knowing when to receive the animals and when to process the animals! After the animals have been purchased, let AniTrace ensure that the lot of animals is accounted for by having workers update their status in the system. GET THE LATEST INFORMATION WITH VERIFICATION REPORT ONLINE! Are you away from the office but want to know the status of your animals? From anywhere with an internet connection, connect to your AniTrace account and pull up your verification report to get the latest information on your animals! 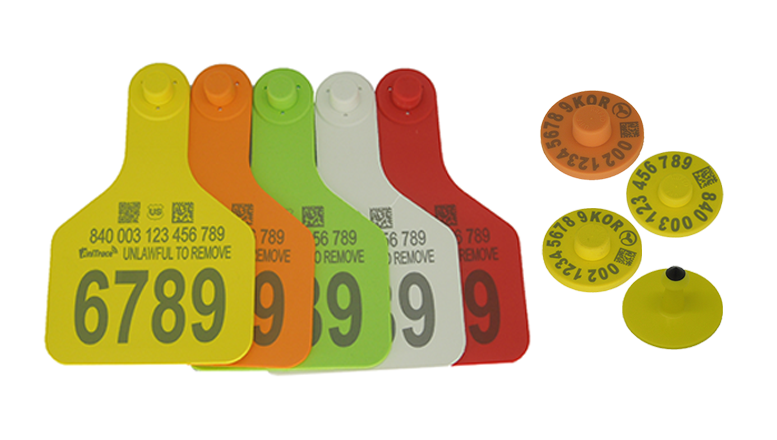 Have peace of mind knowing that your animals have been tagged and processed! Or if your purchased animals haven’t arrived yet, quickly coordinate with team members to locate your shipment of animals! With AniTrace, remove the headaches that come with purchased animals and make tracking your purchased animals more reliable! From lot creation to tag registration, let Lot Verification guide you through the process and remove the manual work associated with this cumbersome task! You can see when those fresh calves haven't eaten or drank. Take action even before the pen riders see the animals getting sick! Simply login to your AniTrace website with your account and see instantly how your animals are performing. Not sure if your animals are coming to the feed bunk or water trough enough? With AniMonitor, let AniTrace monitor your animals 24-7 without any supervision required. As your animals come to eat or drink, AniMonitor will keep track of how often they come and provide analysis on their performance. When an animal does not eat or drink, receive an alert so that you can follow up on the animal before their condition worsens or before they get sick. BE IN CONTROL OF HOW YOUR ANIMALS ARE ORGANIZED! Eliminate your worries about having misplaced animals or having outdated pen information! With AniTrace, managing your animals by pens or lots is simple and effective. Have the latest information of your animal’s movements as AniTrace tracks them for you! As animals come in to your yard, moved from one pen to another, processed for vaccinations or treatments, or shipped out, let AniTrace track all these movements! Now you don’t have to worry about manually tracking your animals nor do you have to wait around for updates. With AniTrace, as soon as an animal’s movement is recorded, see them come up in the AniTrace system as they happen! CONVENIENTLY & EFFECTIVELY COUNT YOUR ANIMALS! Counting your animals has never been more convenient and efficient! Simply run your animals through an alley with the AniGate system and watch the AniTrace system count your animals for you! No more miscounting animals and no more headaches dealing with inventory issues! MAXIMIZE THE BENEFITS OF USING UHF RAFID TAGS! Save time with counting your inventory by letting AniGate do it for you! Now you will have a record of your animal’s movements and you can look up the information anytime necessary. Using AniGate with the AniTrace system will allow you to maximize the benefits of using UHF RaFid Tags! EASY TO CHECK YOUR ANIMAL'S WITHDRAWAL STATUS! With the AniFinder feature, you can scan a tag in the field and quickly view the animal’s information and make changes to the animal’s information. Now the daily tasks of looking after your animals have been simplified and it makes it possible to look after more animals than before. Based on UHF technology, AniFinder has been created with the user in mind and it’s fully customizable to fulfill your needs no matter how big or small the operation! See a sick animal in the pen? No more wasting money on treating animals again with duplicate treatments or vaccinations! 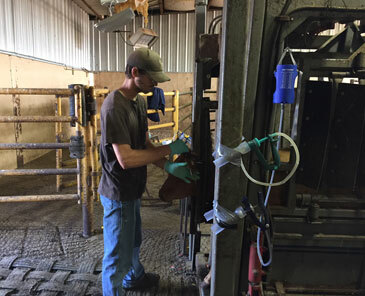 Check your animal’s treatment history in the pen by scanning the cattle’s tag and receive the most up to date information on your handheld device. 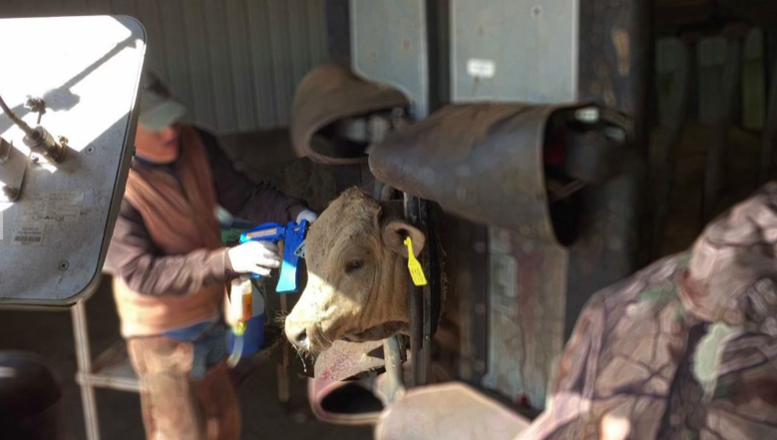 Looking up an animal's treatment history has never been easier! UPDATE THE INFORMATION OF YOURANIMALS IN REAL TIME! among workers has never been more efficient or more effective until now! And looking up your animal’s information has never been so simple! Simply, scan the tag or enter the visual number of the tag and in seconds the information shows up on your handheld device! Feed intake of pen-fed animal is indicative of individual health condition and performance. 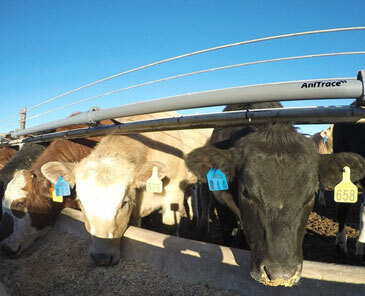 AniMonitor system monitors the daily feed intake of pen-fed animal with minimal disruption in their social behavior. We know exactly which one, when, and how long the animal accessed to feeding station. 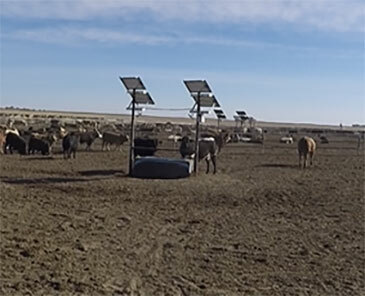 When no power is available at the pasture, solar is one of the best affordable option. However, how much of power is required for system to run 24/7? How about real time data communication in middle of nowhere? We know exactly what it takes because we have done it. 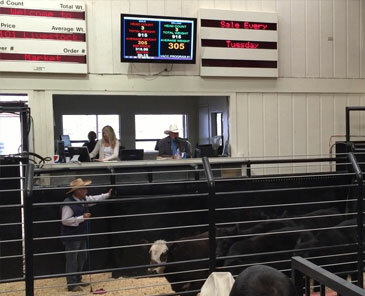 It atomically identifies the individual head when cattle come into the ring for sale. 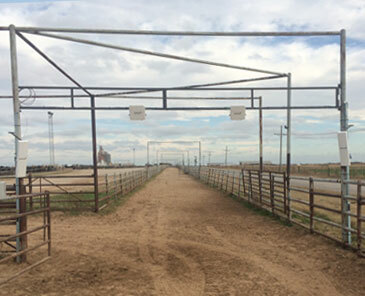 It is accurate and instant as soon as cattle pass thru the gate. It prevents the mistake of manual input or misrepresentation of individual ID. AniGate catches the individual IDs at any time and at any speed. In addition, Android phone/tablet application makes it handy at the yard. 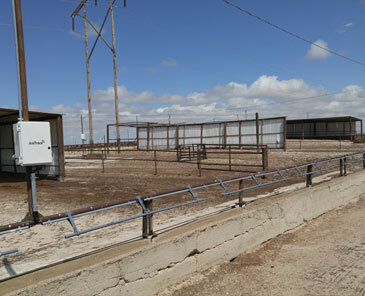 This feedlot is using the AniGate EVERYDAY for sorting, pen movement and shipping & receiving. The system is running for 540 ft. long of 6 pens both in the feed bunk and water trough monitoring 24/7. We know which animals have low feed intake and excessive water or no water by hourly, daily, and weekly. This was part of USDA pilot with X feedlot at Oklahoma. AniChute provides accurate and fast reading, no slowdown in process, and exact information every time. Excessive water indicates the clinical signs of water intoxication. In the other hand, water deprivation can be fatal as well. 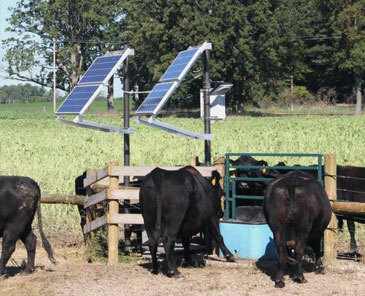 Adequate amount of water consumption is required every day for normal and healthy cattle, and AniMonitor system can clearly analyze individual’s water intake pattern. This was 18 ft. wide allay and the first three trial failed by missing one or three heads. For a month, we developed and optimized scanning algorithm and reading sequence. Then, it was 100% reading after all. Guarantee!!! No more extra hand is needed to read the tag at the chute. The reader is installed at a fixed location and it reads accurately, instantly, and at distance. AniChute reader is now integrated with Trunkey/AMS system to read and process data. Water is consumed several times per day and generally is associated with feeding. With real time data being transmitted from pen to office, you are now able to see water and feed intake and analyze its correlation at anytime and anywhere.